I hope you all got benefited with our previous article on Electronic circuit drawing softwares . Today we are bringing you a great collection of circuit simulators – which are at the same time can be used for circuit drawing, circuit design and analysis as well. The list is well structured as free circuit simulation softwares, open source circuit analysis and simulation software, simple and easy to use simulators, linux based simulator, windows based simulator etc. Finally after researching through all the list we have compiled a collection best circuit simulation softwares as well. So lets start our journey right below. NgSpice – one of the popular and widely used free, open source circuit simulator from Sourceforge. NgSpice is developed by a collective effort from its users and its code is based on 3 open source software packages:- known as:- Spice3f5 , Cider and Xspice. Ngspice is a part of gEDA project which is growing every day with suggestions from its users, development from its contributors, fixing bugs and approaching perfection. As its a collaborative project you can suggest improvement of the circuit simulator and be a part of the development team. GnuCap – is another open source project, developed as a general purpose circuit simulator. Known widely as GNU Circuit analysis package, this linux based circuit simulator performs various circuit analysis functions as dc and transient analysis, ac analysis etc. Developers have incorporated spice compatible model for MOSFET, BJT and Diode. EasyEDA – EasyEDA is another free software that doesn’t require downloading. You can just signup and use the software, you can even try it without a signup but to download/save what you made you have to have an account which is ofcourse free. CircuitLogix – this student version software from CircuitLogix enables you to perform analog, digital and mixed mode circuit analysis and simulation. Â This SPICE simulation software provides 4000 devices on its student version which is 1/3 of the pro version. This circuit building software give access to switches, linear IC and digital IC, FET, Transistors, relays, displays, signal generators, SCR’s, opto isolators, photo diodes, semiconductors, motors etc. LTSpice – is a widely popular SPICE simulator from Linear. LTspice is a free circuit simulation tool from Linear Technology corporation. This simulation software is considered as one of the best freeware available. Highlight of LTspice is much fast simulation of switching regulators with enhanced SPICE (compared to normal SPICE simulators).LTspice gives access to over 200 op amp models, transistor models, MOSFET models etc. A high disadvantage of LTspice is itsÂ proprietaryÂ code base which is licensed by Linear Technology. Had they made it open source, LTspice could have gone places with collaborative development. Note: LTSpice is considered as the BEST circuit simulation software available by users. MultiSim – is a student version circuit simulation software from National instruments. As you know, student versions always comes with limited access. Still this is a great simulation tool for beginners in electronics. 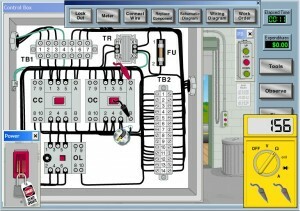 MultiSim, the circuit maker software enables you to capture circuits, create layouts, analyse circuits and simulation. Highlight features include exploring breadboard in 3D before lab assignment submission, create printed circuit boards (PCB) etc. Breadboard simulation is possible with Multisim circuit simulator. TopSpice – this is a demo version circuit simulator from Penzar. This electronic simulation tool is tailored to work with Windows only and its is compatible for Windows XP/Vista/7. Â TopSpice is a mixed mode mixed signal digital,analog,Â behavioralÂ simulation software. It offers both Pspice and Hspice compatible simulation of circuits. Circuit Simulator 1.5j – is a freeware circuit simulation tool. I have not used this tool or even attempted a try. I add this as a suggestion from a user in our forum. I think this is just basic tool with very basic functions, created for starter purpose. Use at your own risk. MacSpice – is a free circuit simulation software for Apple Macintosh users. This circuit simulation which is compatible with PowerPC and Intel architecture Apple Macintosh (MAC pc) computers is derived from Berkeley Spice 3f5 . This breadboard simulator can perform simulation ranging from a single resistor to an integrated circuit with thousands of devices and components packed together. SimScale – SimScale is a cloud-based simulation software which you can do everything online. They have a free community plan which you can signup for but all the circuits you make will be publically available. 5Spice – is a free analog circuit analysis and simulator with many great features which includes a user expandable library of Spice/Pspice models, save any number of analysis results, integrated graphing of simulation results, student level MOSFET IC design etc. 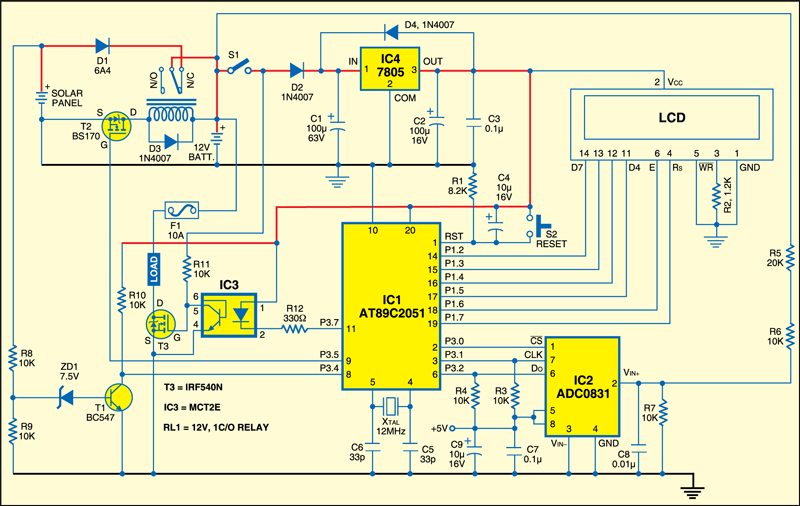 The focus is emphasized on analog circuit analysis and design at component level. 5Spice is mainly designed for students and educators, rather than industry professionals. Latest version of 5spice is released on October 31st 2001 – v 1.65. Beige Bag – is a demo version of the original paid version of Beige Bag circuit simulation software. Developed based on B2 Spice, this software is mixed mode, power packed, fast and easy to use. Well try the demo version before you decide to buy. Micro-Cap 10 – is another demo version circuitÂ analyzerÂ and simulator from Spectrum Soft. As they claim its a mixed mode digital/analog circuit simulator with an intuitive user interface, fast simulation and great performance. I haven’t tried this yet, so if you are interested try your own. PECS – is a free power electronics circuit simulator created by Richard Tymerski. You can download the various manuals and tutorials from the website before start using the simulation tool. Proteus – Prospice is a mixed mode, Spice based simulation tool from LabCenter. They have two versions, basic and advanced. Basic version is free which supports interactive simulation only while advanced supports a range of useful functions and features like graph-based analysis which includes frequency, noise, distortion, fourier parameters etc. QUCS – Quite Universal Circuit Simulator is a free simulation software developed on GNU/Linux environment. Well, this software really works on other operating systems such as Solaris, Apple Macintosh, Microsoft windows, FreeBSD, NetBSD etc. User can simulate large signal, small signal and noiseÂ behaviorÂ of the circuit using this simple circuit simulator. 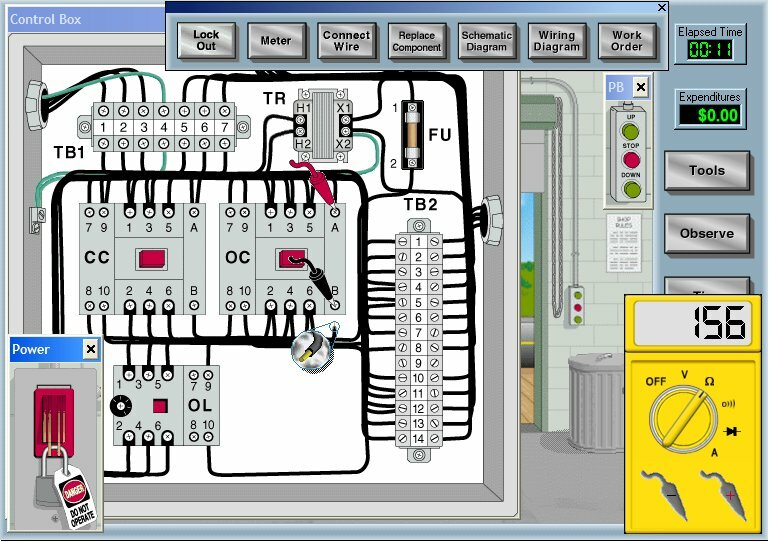 Solve Elec – is an electrical circuit simulator (free version) which is developed for Macintosh OS and Windows. It enables users to draw and analyse circuits (both electrical and electronic) functioning in direct current or alternating current, get formulas, verify equations, get equivalent circuits etc. XSpice – is developed as an extension to Spice 3 by Georgia Institute of Technology. It has code modelling feature which enables user to add new models. Okay! So far we have listed 16 free version circuit simulators, some of which are open source, some are licensed but free, some are demo/ student versions etc. And we have atleast one simulator for each and every operating system out there in the market. If you know some other free simulation software/tool, that’s so great, please share it as comments. Now let’s have a look at some enterprise circuit modelling software in the market. PSPICE – is a mixed signal, industry standard circuit simulator. This software is used by many professionals for electronic system design and development. Orcad, the printed circuit board (PCB) design software is developed by the same company, Cadence. MultiSim– is a great simulation software from National Instruments for electronic design engineers, academic professionals and educators, colleges, students, universities and professionals. Highlight features of this software are written above (under free resources). SiMetrix – is a circuit simulation tool with enhanced Spice specifically developed for Professional electronic design engineers. They have other products like Simplis, Micron VX, DVM etc. TINA – is an affordable, cost-effective circuit design and simulation software, yet very powerful in features and functions. You can buy a basic version of TINA design suite 9.3 for as low as 90 Euros and a classic version (suited for professional design engineers) is available from 600 Euros. PowerSim – is a simulation software developed for power electronics circuits, motor control and other requirements like dynamic system simulation. Please share (as comments) if you know some other good circuit simulation software that I have not listed here. I have used EasyEDA, it is really a great tool for me. It brings me easier EDA experience and There are some useful tutorials about circuit design https://easyeda.com/Doc/Tutorial/ it’s helpful to my study. I wish it will help you too. I would like to know the name of the software of which its dialog box appears up above on these webpage. I am an ECE third year student , I am doing mini project on the topic “remote control circuit through RF without micro controller”, but the components that i need are not available in proteus. Kindly suggest me , which of these circuit simulators contain RF module, HT12E &HT12D ICs. I am ECE student.I would like to designing the A/D converters or D/A converters while using the simulation. I am ECE student.I would like to designing the A/D converters or D/A converters. Im looking to buy a program for a 8 pin relay would work in a system. I hope that I have found the right page for it, if you would please get back to me and let me know if this the right one. Does anyone know what circuit simulator this website uses for making their circuit diagrams. only click on the rotating clog to avoid being redirect elsewhere. Hi, What is the software used to create the circuit-simulator images at the top of you page? Others also have requested it. i want a simulator for fm tranmitter…which 1 shud i use..??? Hi im 11 years old and I LOVE electronics and i have a question how to download this app? The picture of the ‘Circuit Simulator’ seems to be very interesting. Could you tell me more about this Simulator. Is there a real piece of software that does this function? Look at Visual Spice Advanced at http://www.islandlogix.com. $398.00 ….right now $300.00 off . Just $98.00. I have been using it for about 4 months. I like it. You can download and try before you buy. VisualSpice is a completely integrated 32-bit analog, digital, mixed signal schematic design and circuit simulation program, sporting the SAME or more advanced features at a fraction of the cost of other simulators. VisualSpice allows you to quickly and easily capture your schematic designs, perform your simulation, and analyze the results using our powerful signal processor and waveform viewer. You can customize almost everything in the design environment, and easily search for, find, select, and categorize, from over 25,000 device models (50,000 parts in EDA version). Our popular Control Panel allows you to quickly enter component parameters with a single click, and to design waveforms using our graphical signal generator waveform editor, before spending time doing a simulation. You have saved us for a long tiresome search for a decent free circuit simulater. I’m used to work with the expensive professionel CAD/simulater packages (Orcad and Pads) and I’m gratefull for you qualified help in finding what comes closest to replacing these. I think you should add http://www.DoCircuits.com as well. With the advent of cloud and mobile devices, they are trying to bring simulation on the browser. They are still early but the direction looks promising. Noticed you have TINA listed in the paid section, and while that’s true for some versions of it, you can download a free scaled down version of it on the Texas website at the link below. I’ve installed it, played with it and it works well and provides a lot of devices. Microsoft Windows only though. I think Altium is one most top simulator. Thanks for the List. It’s really Helpful. Great List! One suggestion I have for “Best Licensed/Paid Circuit Simulation Software” would be for CircuitLogix Pro (www.circuitlogix.com). I have used this product for many years and I think it is one of the best products on the market. It has excellent mixed-mode simulation capabilities and over 10,000 devices and models. How to test the circuits!!! what software can be seen at the following link? Thank you this post and the reply! what software was being used in the image above?